Non-comedogenic is a fancy way of saying something will not clog your pores, creating white or blackheads. However, there are many factors which contribute to determining this. When a product has a comedogenic ingredient, the amount found in the formulation, the size of the particles, the consistency of the formulation, as well as other ingredients it is combined with must be taken into consideration. You must also take into consideration the fact that each person has different skin & experiences will vary from one person to another. 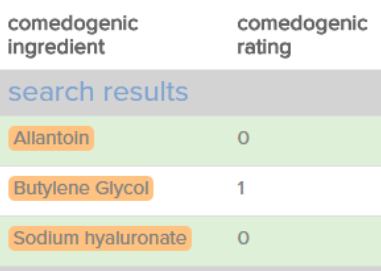 How do you know if something is non-comedogenic? 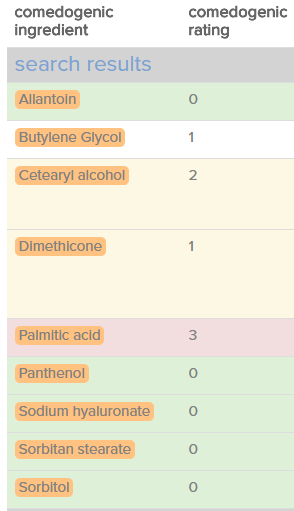 There is a classification system of 0-5 for skincare ingredients. 0 (or not on the list) making it totally safe, and once you get to the 4-5 range you might need to consider your skin type & the other factors we mentioned above. It is important to know that just because a product might be labeled as non-comedogenic, it does not necessarily mean that it is. The FDA does not have a definition for the term non-comedogenic and there are some limitations in its usefulness as a label. Because of these challenges, it is important to do your own due diligence and look into the ingredients found in your products. Since we love our customers and believe in being completely transparent with you, we have saved you the time and have gone through our products one-by-one and shared with you the results. 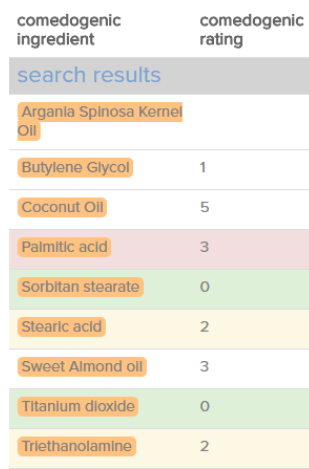 We have compared our ingredients with a list of all potential pore clogging ingredients for you to view. 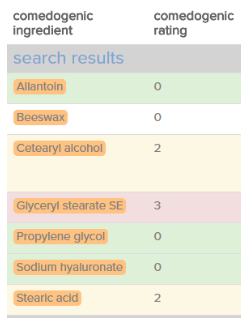 We have also taken the time to explain any ingredient apart of our results that might be concerning to you. When used as a common ingredient and not specifically for an acne treatment, the rating does change to a level 2. This ingredient when used in Saranghae will not clog your pores. When used in minimal amounts as it is within Saranghae, it is not a risk for clogging your pores. Is an emulsifying agent and is used to bind certain ingredients together. When used in Saranghae, you are not at risk of clogging your pores. While it is difficult to determine if a product is completely non-comedogenic, we would say Saranghae is not a risk for clogging your pores. 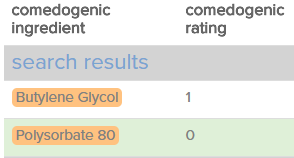 Please have a look below and see how our products have scored.